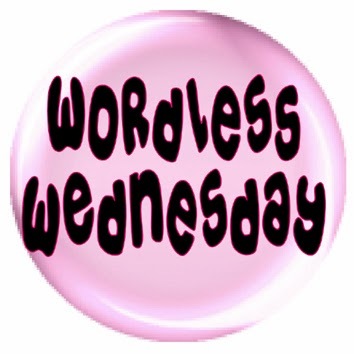 This entry was posted in A-Z Blog Challenge, Blog Hops, Wordless Wednesday and tagged Brody, Comedy Plus Wordless Wednesday, Prancie, Wordless Wednesday by pilch92. Bookmark the permalink. Mom always says baking soda has a lot of very good uses. Hope that tail doesn’t fall asleep. That’s a good tip about the color safe bleach. Fortunately, we don’t have any pee-ers here, knock on wood. I love how it looks like Brody’s growing an orange tail! Baking soda is a pretty awesome cure-all! I wash out old bottles that held spices. The ones with the shaker tops are perfect to fill with baking soda and kept nearby the litter box. Bleach is rather toxic so I prefer to use a mixture of baking soda and vinegar, it has never failed me. That is a great idea about the soda to remove the odors. We sure will have to try that. You all have a wonderful day. Such a wonderful photo and a great tip too. Okay, two tips, the baking soda tip and the Prancie tail tip! Baking soda works for so many things and it’s safe to use. That’s the best part. We do what we have to do to keep things in order. Love the tips! Even though my cat doesn’t pee anywhere but her box, baking soda is my go-to for many things. Happy Wednesday! Such a cute photo – nap on sweeties! Baking Soda, what would the world do with out it? Cute photo! Yep, baking soda is a wonder powder! feeeeeeeeew…a noze holder even for uz !! I use unscented litter too because I think the cats are not fond of scented litters. I feel bad for cats stuck using it. We agree with Zoey and Ernie, we don’t stink! That photo is cute though! Whoa! Baking soda is in the Arm & Hammer litter we use sometimes. It works. We also never use scented litters. I don’t trust them. Baking soda is a much better and much safer alternative. Does color-safe bleach work on concrete floors? TBT is about to use a citrus-based floor cleaner around our litter boxes and we think that might make things worse. Iza is the one who poops just next to the litterboxes and we don’t want to struggle with a strange smell just because of HER! I am not sure about that, I never tried it. Maybe TBT needs to put puppy pads by the box, that is what I do to catch any pee that goes over the edge. Congratulations to Prancie for winning the Easter Bonnet Contest at Teddy’s blog! Baking soda works wonders for lots of things. I always have it in the pantry… and the fridge! Brody and Prancie look pretty content together! I layer baking soda on the bottom of the just newly cleaned out litter can, add the litter and it does a great job. Good tip on the odors! And what a cute photo. For some reason your blog wasn’t coming up in my feed and i missed this post. It has finally come back, all of the posts for the last three days! Color safe bleach takes out the odor! Wow, i will have to get some and try it. Most of the time, if our cats mess on something, we throw it out, i’ve wasted a lot of time washing with everything else under the sun and have almost never salvaged anything they peed on. I really need to make more use of baking soda. It can work so many wonders, especially in a home with animals, and I need to take advantage of that. I’m definitely going to start using it in the litter boxes, because there are definitely some odors in there.